Juli is a diverse and stylish blog template, but what sets it apart, is how flexible it can be! Don’t let its humble look fool you, Juli can be customized heavily! Effortlessly make this template fit your project perfectly. Personal blog? Easy! Fashion or food? Why not both! Get the most out of your web presence with a template that will encourage your growth! Make this template your own and strive for success! 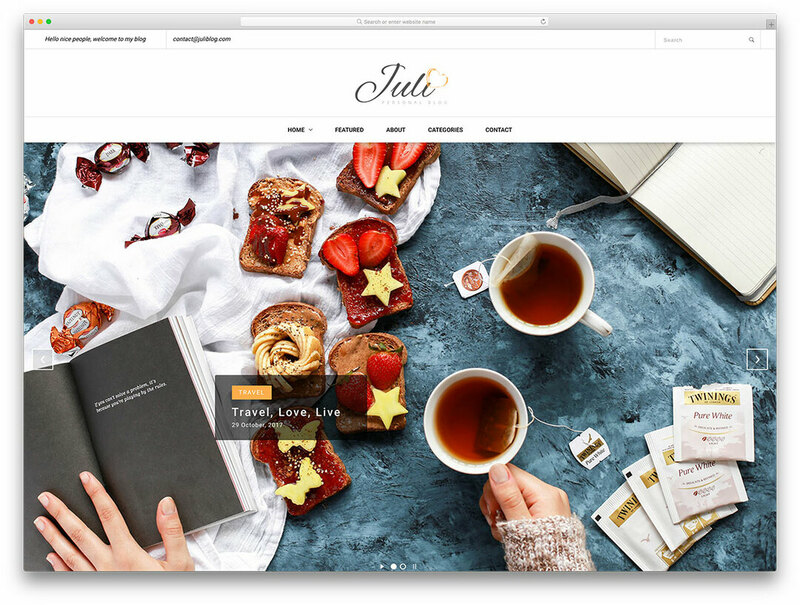 Juli will give you all the must-have tools a blog website needs, a stylish, timeless aesthetic and various small animations on sliders and page-loading that will make your posts pop!